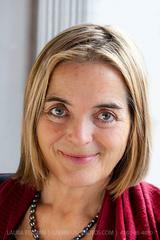 Naomi Duguid, traveller, writer, photographer, cook, is often described as a culinary anthropologist. Her most recent book TASTE OF PERSIA: A Cook’s Travels Through Armenia, Azerbaijan, Georgia, Iran, & Kurdistan was published in September 2016. She is also the author of the acclaimed BURMA: Rivers of Flavor and the co-author of six earlier award-winning books of food and travel: Hot Sour Salty Sweet: A Culinary Journey Through South-East Asia; Seductions of Rice; Flatbreads and Flavors; HomeBaking; Mangoes and Curry Leaves; and Beyond the Great Wall: Recipes and Stories from the Other China. The books explore home-cooked foods in their cultural context, with recipes and photographs as well as stories. 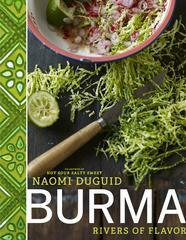 BURMA: Rivers of Flavor celebrates the food cultures of Burma in recipes, stories, and photos. It was published in October 2012 and won the IACP culinary travel cookbook award in April 2013. Naomi’s weekly blog www.naomiduguid.blogspot.com is on hold at the moment. Naomi conducts intensive cultural-immersion- through-food sessions in northern Thailand, and a food-focussed tour to Burma as well, each winter (for details please see www.immersethrough.com).